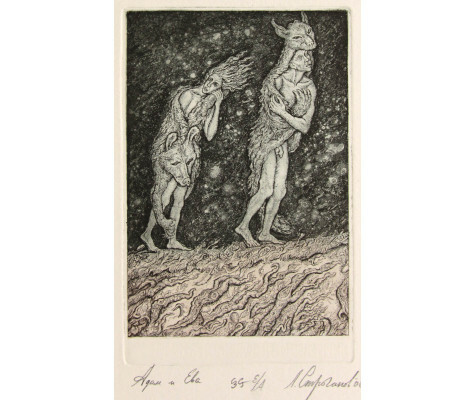 This original Etching ﻿`Adam and Eve. 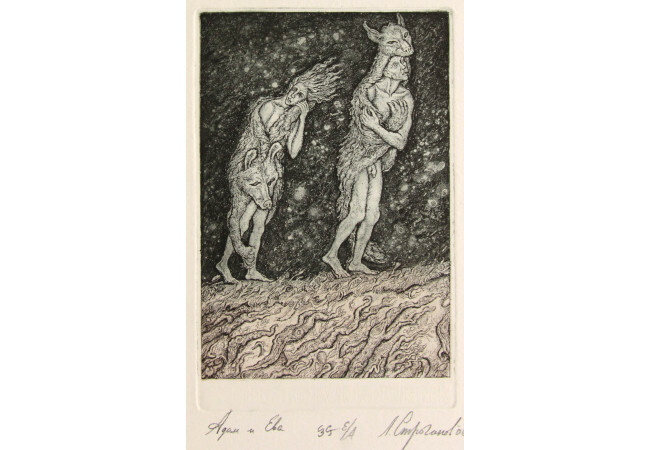 Expulsion from Paradise` by a Russian artist Leonid STROGANOV, is done in etching on paper. 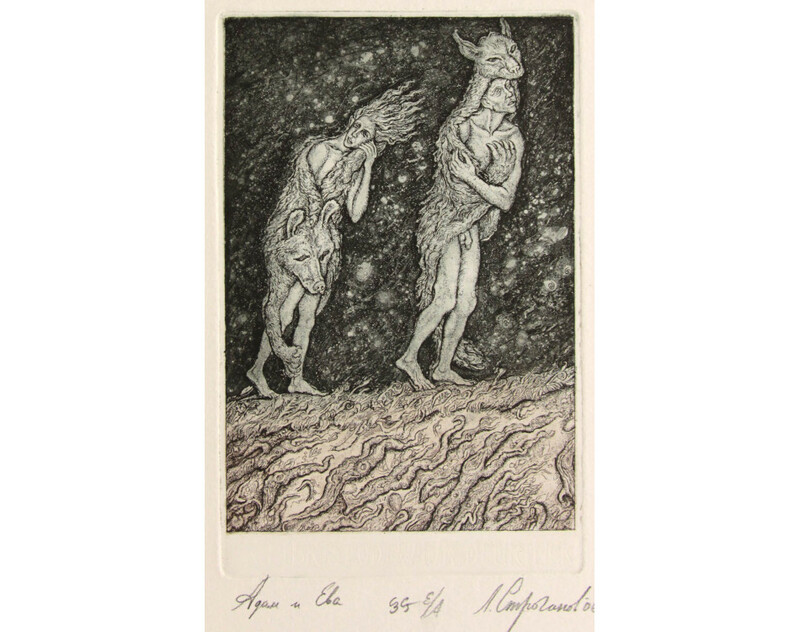 This Genre was created in Realism style.